What are Radial Head Fractures of the Elbow? The elbow is a junction between the forearm and the upper arm. The elbow joint is made up of 3 bones, namely the humerus bone in the upper arm which joins with the radius and ulna bones in the forearm. The elbow joint is essential for the movement of your arms and to perform daily activities. The head of the radius bone is cup-shaped and corresponds to the spherical surface of the humerus. The injury in the head of the radius causes impairment in the function of the elbow. 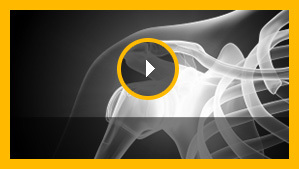 Radial head fractures are very common and occur in almost 20% of acute elbow injuries. Elbow dislocations are generally associated with radial head fractures. Radial head fractures are more common in women than in men and occur more frequently in the age group of 30 to 40 years. What are the Causes of Radial Head Fractures? The most common cause of a radial head fracture is breaking a fall with an outstretched arm. Radial head fractures can also occur due to a direct impact on the elbow, a twisting injury, sprain, dislocation or strain. How are Radial Head Fractures Diagnosed? What are the Treatment Options for Radial Head Fractures?